Washington Nationals slugger Bryce Harper took home all 30 first-place vote to win his first National League Most Valuable Player award. The 23-year-old is the youngest unanimous winner of the MVP. 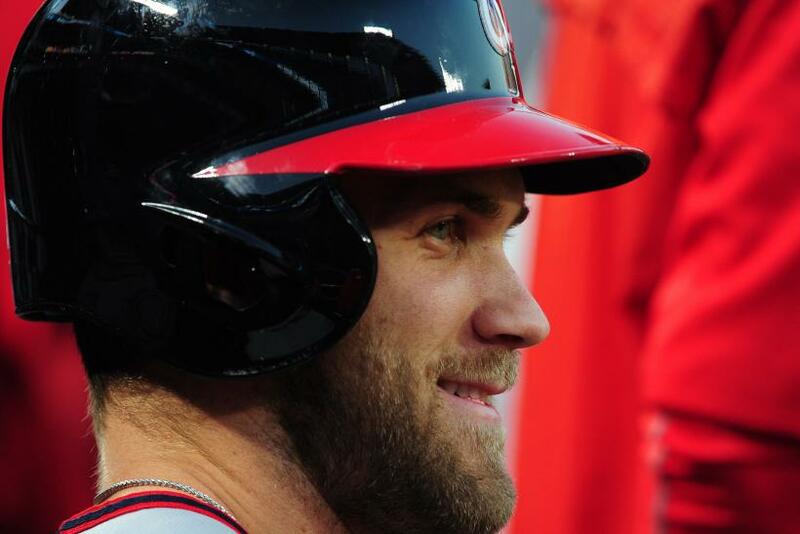 While the Nationals failed to reach the postseason, Harper was one of the few bright spots with a league-leading on-base percentage (.460) and slugging percentage (.649). He also finished with 42 homers, even with the Colorado Rockies' Nolan Arenado, and had the second-best batting average (.330). Harper was also a Gold Glove finalist. It was a sharp uptick for Harper from 2014, when he hit just 13 homers in 352 at-bats, and batted .273 with a .344 obp. Prior to 2015, Harper had never hit more than 22 homers his first three season. "The entire Lerner family extends congratulations to Bryce on his well-deserved Most Valuable Player award and his tremendous, record-setting season," Nationals owner Theodore N. Lerner said in a statement. "It's such a pleasure to watch him play and we look forward to his future outstanding contributions to the team." Arizona Diamondbacks first baseman Paul Goldschmidt finished second and Cincinnati Reds first baseman Joey Votto finished third.